As our true Scottish autumn eventually arrives (rain, wind, cold and leaves falling everywhere) I was lucky to have found my coat just in time. I had been on the hunt for the perfect camel coat for months and I eventually seen a few bloggers wearing the MissGuided Camel Coat, which online, seemed and looked great. A few weeks later, I ordered it, but was so utterly disappointed, it didn’t sit well, it had no shape, it was not the best material and was also badly creased. After trying it on to get different peoples opinions, I decided to send it back. So, I was obviously back on the hunt, and I had spotted this Mango coat in store months ago but at £140, I wasn’t sure if I might get a better coat in terms of material quality. However, this weekend (and until Wednesday) they had 30% coats, taking the price tag down greatly. 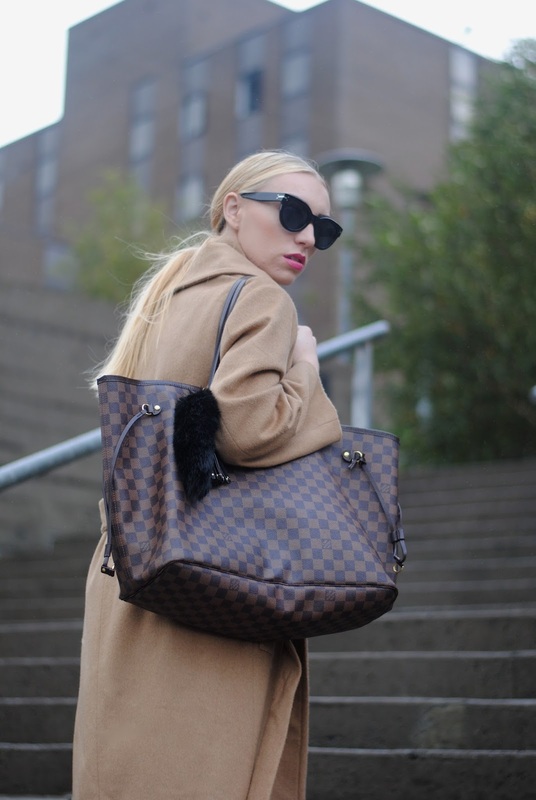 As you can see from the pictures, it sits so well on, the quality is great and it is exactly what I wanted – ‘that’ camel coat, which hangs perfectly like the Max Mara one we all wish we owned. Anyway, life lesson – buy less, choose well, and quality over quantity. You really get what you pay for and as much as I love Missguided for many things, it is not the place to invest in a winter coat to last. The Mango one also makes me feel very Kim K – especially with these Celine sunglasses. I am not quite sure whether that is good or bad? Hmm. Have a great week and stay tuned for lots of exciting things happening this week and next on the blog! Oh and happy Monday of course.